Dubai Land Department (DLD) announced yesterday the winners of the first edition of the International Property Awards- Dubai (IPAD) 2018. The event was led by Sultan Butti Bin Mejren, Director General of DLD, in the presence of the Department’s top management, representatives of the International Property Awards (IPA), as well as real estate companies and experts, and those interested in real estate. 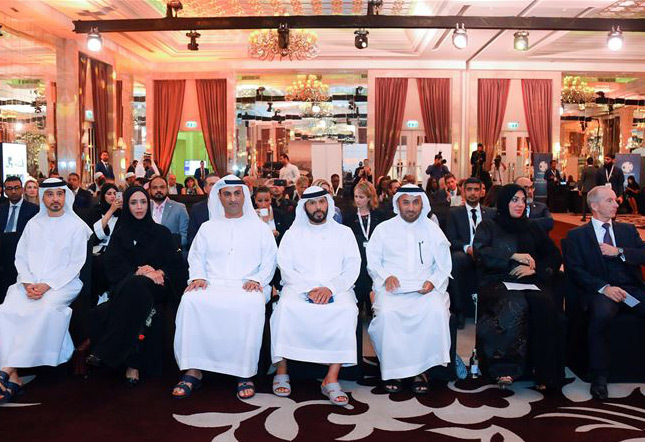 DLD recently revealed that a total of 49 companies – 41 of which are local – competed in the award’s different categories. Bin Mejren stressed that through a partnership with IPA, IPAD witnessed a strong launch in its first edition, receiving an unprecedented demand from local and regional companies. Addressing the audience at the awards ceremony, bin Mejren added: "This award helps us align with the directives of HIs Highness Sheikh Mohammed bin Rashid Al Maktoum, Vice President and Prime Minister of the UAE and Ruler of Dubai, to support the real estate sector’s excellence according to the highest standards to attract investors, allowing Dubai to remain the ideal destination for investment and business. In addition, Dubai's adoption of this award provides it with the highest degree of credibility, especially as we have the expertise that qualifies us to organise the award and professionally evaluate contestants according to clearly defined criteria." The award aims to add a new dimension to the regional real estate sector, and to demonstrate the commitment of involved parties to the real estate market, attracting investors looking for the ideal opportunities, especially as Dubai enjoys a stable market with a guaranteed return on investment, and unique features that distinguish it from other global investment destinations. Majida Ali Rashid, CEO of the Real Estate Promotion and Investment Management Sector at DLD, commented: "We would like to congratulate all the winners and salute all those who competed. The awards are considered one of the Real Estate Promotion and Investment Management Sector’s initiatives and present a new challenge towards accomplishing innovation in the real estate community. It provides an ideal platform for real estate projects, and an innovative platform for new ideas, maintaining Dubai’s reputation as an innovative gateway for real estate-related issues. We are proud to support our sponsors, partners, and developers, especially the local ones." Marwan bin Ghalita, CEO of the Real Estate Regulatory Agency (RERA) at DLD, said: "We are seeking to be the first new and innovative real estate market in the world that offers the best to investors in Dubai’s real estate sector. We are pleased to honour our developers and companies with the awards, in recognition of their creativity, and for providing innovative ideas with a focus on customer satisfaction. That is our main goal, especially as the happiness indicator reveals a 95% approval rating among our customers and investors." Stuart Shield, President of IPA said: "I would like to extend my congratulations to all the International Property Awards Dubai winners who will now be recognised for their excellence throughout the global property industry. Attaining an award proves that the company has the necessary qualities and professionalism to excel over other companies within the highly competitive region. I would also like to thank DLD for their support in establishing the development of the International Property Awards Dubai and we look forward to working with them closely, especially in light of the forthcoming Expo 2020 that aims to highlight and draw international attention to outstanding projects, design excellence, and energy efficiency that takes place throughout Dubai’s property industry." IPA is a global recognition programme of excellence within the Dubai property industry, and is being held for the first time in Dubai as a result of a collaboration between DLD and IPA. The awards are open to architects, developers, interior designers, and real estate brokers working in Dubai, with a focus on design, quality, service, innovation, originality, and commitment to sustainability. It also opened the door for participants to compete at the local, regional, and global levels.